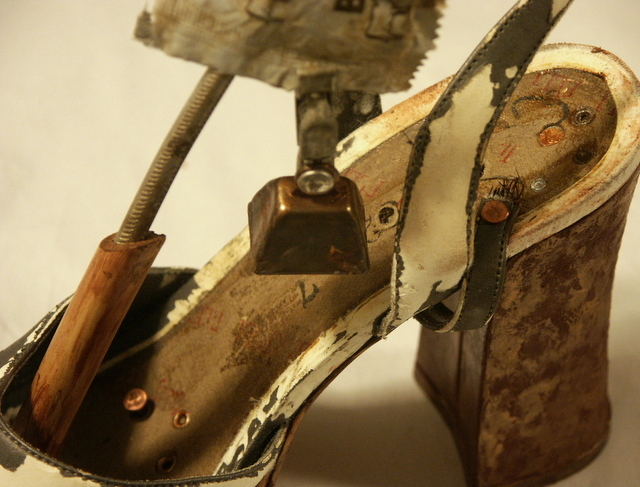 This entry was posted in Events, Wearable Art and tagged assemblage, fashion, found object, refashion, sculpture, shoes, Wearable Art. Bookmark the permalink. That is so brassy! Sassy! Steampunk, even.